I have been on the lookout for a large clock for my dining room and once again turned to Pinterest for ideas. I want to share a few of my favourite looks with you. 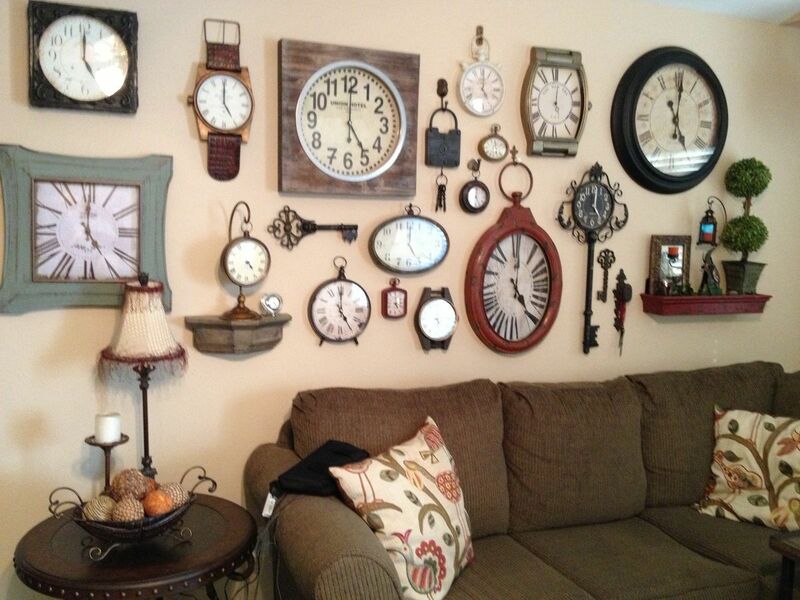 This clock gallery is amazing, but I think it would take a while to collect this many clocks! I think for now, I’ll stick to one large clock! Something like this is a possibility, as it would need to show up on white walls, as I’m painting all of the walls in the house white for now. This industrial style clock is fabulous. I think it would look equally as good against a white wall. You can see my basic attempt here – it’s a work in progress! Now I’ve considered the wall decor, I need to decide on new chairs. Back to Pinterest!